Add Gold boxes in game. As I seem to be Gold poor at the moment, and was pondering on how to get more (I've obviously got too much spare time, don't tell the wife). Option 1: Have the ability to take game winnings in Gold or Silver. eg. if you've won 400 silver, you have an option to take 20 gold (say 5% ???). Option 2: At some point in each game, a Gold box is inserted in the middle of the Map, first there gets it. Option 3: Keep things as they are - No change. Edited by Daddy Rob, 11 October 2017 - 04:42 AM. The ideas behind this are solid in my opinion, but execution is another story. The developers already have given us a chance to earn gold with the daily rewards system. Which I know for some people is tedious due to real life situations. Option 1: I like the way you think, having an option between gold or silver prizes. Though the gold would be significantly less than silver, it would maybe present a far greater incentive to play in open servers. Not a bad idea in all seriousness. Option 1 would be more likely than Option 2 in regard to effectiveness and fairness. Players are motivated to play, as they get rewarded by playing the game and achieving those achievements. Players will play for a objective. For those of us that already are generalissmo, rank 60, and cannot receive gold by ranking up anymore, I would say that there should be some sort of motivation for them to keep playing and get gold. Personally, I think that the Divisions idea would work out great and doesn't require a lot of additional work for G.H.O.R. You can find that Here. Hi friends after long long time i hope hope you all will b happy as always ..
Their is simple solution ..
1..they need to give players daily tasks . Mean if a person destroy 10 or ++ tanks will get 20to50 gold as reward capture 10 or ++ flags in game 20to50 gold rewards or use a specific tank to destroy 10 or ++ enemy tanks rewards 20t050 gold . Or destroy abram,al khalid, typ10.leporda,merkva etc 10 times or ++ and rewards 20to50 gold ..
And this will b daily task for players 1 task as day or 2 defends on TT team .. This is my idea trust me it will get the game agin on its feet ..
Opinion for Idea 2: like the others said, this will cause fighting, and, not all tanks are going to get to the gold fast, you have to remember that a lot of the tanks are slow (Maus, Conqueror, T-72, T-90, ETC.) While others will simply outrun them and cause fights and insults (T-64, T-14, T-80, M551, FV101 Scorpion, ETC. I'm actually curious when the gold boxes appear will it alert all players? Or will it just spawn at some random place and be found by a random player who stumbles upon it. Maybe the whole team would benefit if one of their players gets the box?, so it would still be a team effort. I only added option 2, to have an alternative to option 1, I quite like the idea of random boxes dropping from the heavens. Option 1 is really what I'm interested in, it seems logical to have the choice to taking winnings in Silver OR Gold. Sometimes, you've got Gold and need Silver, and vice versa. I assume that buying Gold is the software's way of getting revenue, and I don't want to reduce that (maybe just a little). It would just be nice to have the option, even if it's at a much reduced percentage of Silver, especially for players that don't have the ranking up income. My 5% was only a suggestion, even 1% would be better than nothing. If I ever get to the top rank, then I'd probably want to try getting all the tanks, that's a lot of expanding fees, upgrade fees etc. 50 gold a week for playing every day doesn't go very far. There is no point in adding opportunities to earn gold. It is initially categorized as a premium currency (donatable). Economics at this stage of the game is quite convenient. 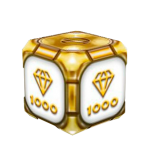 Much more interesting is the idea, which was repeatedly put forward at various venues for discussion of the game - daily tasks and/or events with gold prizes. But this is a slightly different story. If option two was to be added it shouldn't give any alert to anyone so that it won't interrupt the objective of the match. I like the original idea of adding tasks to complete for gold. 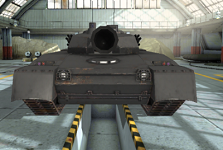 Would be total copying from Tanki online. Edited by basmal121, 15 October 2017 - 02:30 AM.